The Single-Use Beverage Packaging Working Group has been formed to develop solutions for reducing waste from beverage consumption. The initiative is branded ‘Drink Without Waste’. The Working Group, comprising NGOs and key players from the beverage, retail and waste industries, has commissioned an independent research study as a first step to consult stakeholders and the community on better managing single-use beverage packaging. Urgent action is needed to reduce the 136 tonnes of plastic PET bottles, 91 tonnes of multi-layer cardboard drink packaging, 41 tonnes of aluminium cans and the 275 tonnes of glass bottles which are disposed every day in Hong Kong according to Government’s 2015 statistics. With the tightening of the waste import policy by Mainland China, it is becoming ever more apparent that local processing capacities are needed to meet the import requirements of nations that can use our resources. While aluminium has a high recycling rate, and the Government has mandated a PRS charge for glass bottles, much of the other packaging, including plastic bottles and multi-layer cardboard drink packaging, is increasingly being disposed in landfills and harming the environment. Participants in the Working Group have deep knowledge of waste management, and beverage production, retail and consumption matters. With this initiative, they hope to support Hong Kong in its efforts to design and implement policies for dealing with waste, and recyclables. The research and consultations are scheduled to take 6 months, and a report is expected to be released in mid-2018. 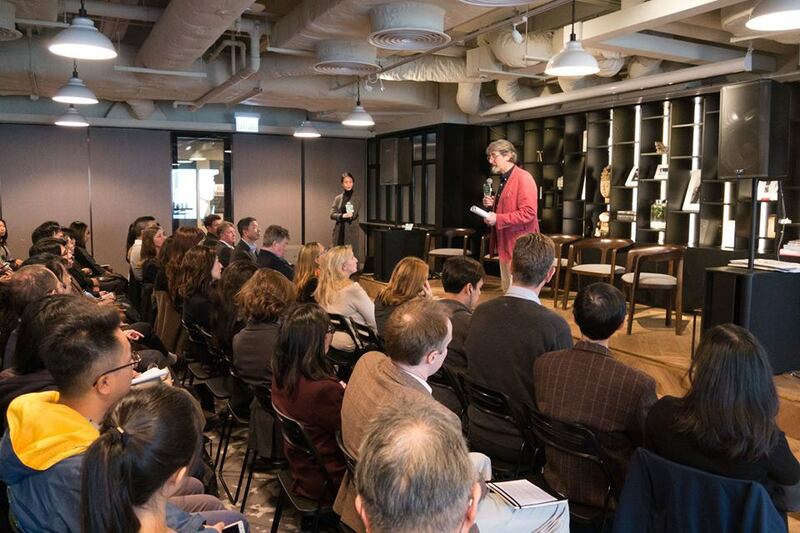 The objective is to determine how best Hong Kong can manage single-use beverage packaging, and how the industry, retailers, consumers and community can benefit from taking a new approach with reduced waste as the ultimate goal. The working group’s consultant will consider measures covering the importation, manufacturing, packaging, distribution and sales of packaged beverages; the disposal, collection, separation and recovery of beverage packaging; the processing (recyclability) and re-use of the used beverage packaging, and they will also consider the applicability of the measures to other recyclables generated in Hong Kong. With this initiative, the Working Group expects to create a new set of solutions for Hong Kong which spur innovation and job creation, and reduce Hong Kong’s waste footprint. The Working Group has selected Deloitte Advisory (Hong Kong) Limited as an independent consultancy to take responsibility for the research component of the initiative, and is currently finalising the contract. They will collaborate with local consultancy Waters Economics, and with Deloitte France who have carried out similar projects in other cities and countries. The research will be carried out in three stages, including background research, consultation of key stakeholders and the HKSAR government, and finally consultation of the general public. “We are excited that the Working Group is dovetailing with the government’s study of the feasibility of a Producer Responsibility Scheme for plastic bottles, and its plans to subsidise and invest in recycling and collection facilities and services,” explained the Chairman of the Working Group, Paul Zimmerman. The Consultant will carry out research and analysis and will consult stakeholders on reducing the waste from single-use beverage packaging. 1. The Consultant will identify pragmatic options for managing single-use beverage packaging within the context of: a. The Hong Kong beverages market; b. Current and future policies, strategies and facilities for local, regional and national waste (secondary resource) management; and c. International best practices. 2. The aim is to minimise waste going to the environment, landfills and incinerators, through options including the avoidance, reduction and reuse of single-use beverage packaging materials, increasing the recycling rate of said packaging, and implementing means to recover waste from any remaining packaging. 3. For each option identified, the Consultant will consider practical measures covering: a. The importation, manufacturing, packaging, distribution and sales of packaged beverages; b. 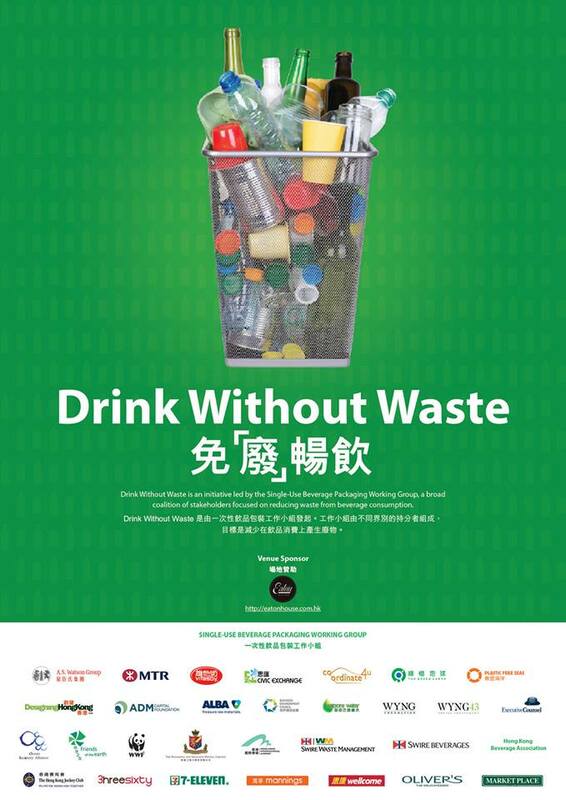 The disposal, collection, separation and recovery of single-use beverage packaging; c. The processing (recyclability) and re-use of the used beverage packaging, and d. They will also consider the applicability of those options to other recyclables generated in Hong Kong. 4. The Consultant will recommend options, with time lines, based on economic (including land and labour costs), social, environmental cost and benefit analysis, taking account of Hong Kong’s current and future markets for beverages and for waste (secondary resource) handling. For each option the Consultant will map the volume and value of beverage packaging at the different flow points from import to final destination. 5. Each recommended option will include actions and innovations required from industry and/or Government and/or other stakeholders, such as but not limited to packaging, distribution, rebates, deposits, taxation, infrastructure, waste handling, recycling, education and regulations, to enable the necessary behaviour change of industry, consumers and government. 6. The Consultant will engage with interested parties in Hong Kong including relevant industries, government, consumers and stakeholders, including the WG, to develop a Positioning Statement. The Consultant may engage an agency to assist with the consultation meetings as deemed necessary. 7. The Consultant will propose a Strategy Realisation Process setting out how the Research Report and Positioning Statement might be used by the WG together with its media and public affairs partners to drive change, and to further the objectives and recommendations effectively. The Dairy Farm Company Ltd.
‘Drink Without Waste’. 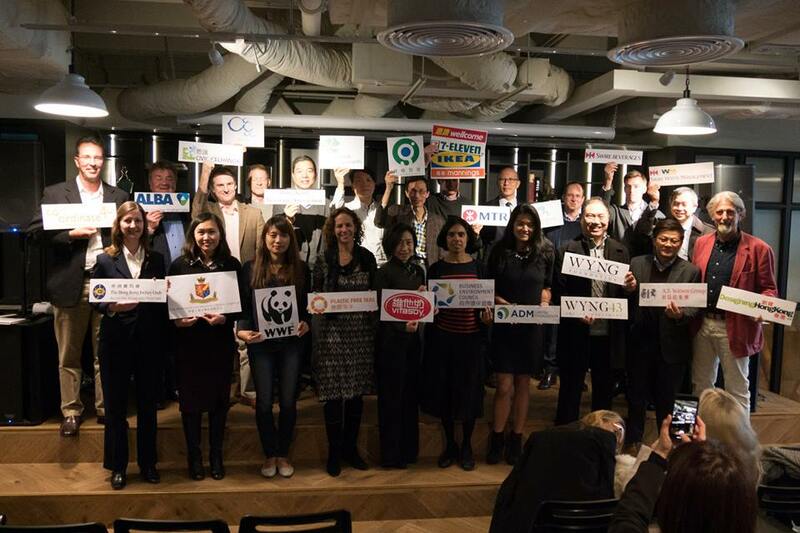 Different organisations joined to kick-off the initiative by the Single-Use Beverage Packaging Working Group. Drink Without Waste. Paul Zimmerman, Chairmanof the Single-use Beverage Packaging Working Group, explaining the initiative. Drink Without Waste. 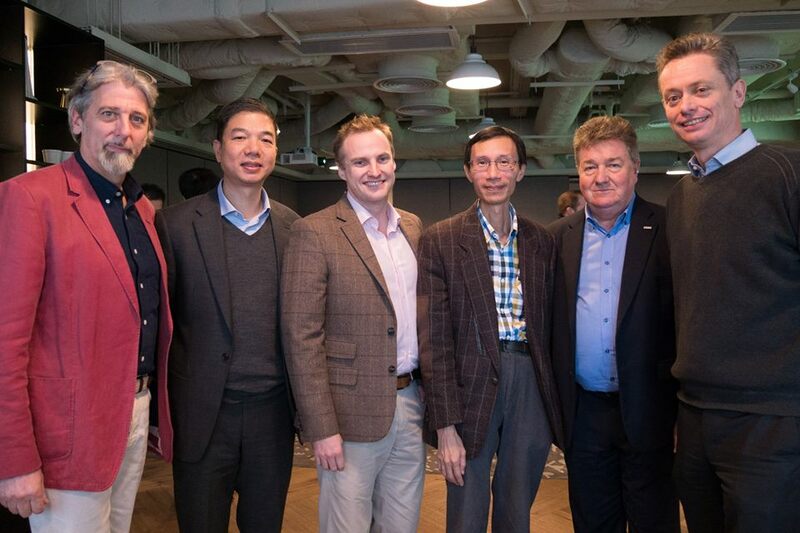 Speakers at the launch, from left to right: Paul Zimmerman (Chairman of the Single-use Beverage Packaging Working Group); Allen Li, President of The Hong Kong Beverage Association Limited; Steven Molyneux-Web, CFO of Civic Exchange; Edwin Lau, Executive Director of The Green Earth; Nigel Mattravers, Director and General Manager, ALBA Waste Solutions; Charlie Wood, Group Counsel of the Dairy Farm Group.